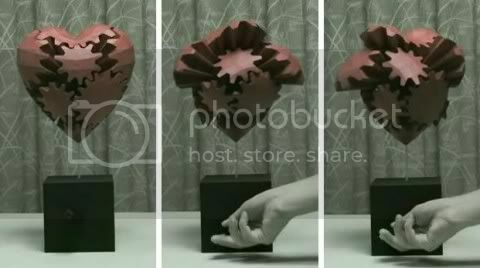 [youtube=http://www.youtube.com/watch?v=70dKZjP4NOo] Here is a paper sculpture I found by Haruki Nakamura; not only is it an amazing sculpture, but each piece fits together like a set of gears, meaning when one segment moves, then they all move together. I think this is a great use of paper and also very visually pleasing. This could be used as inspiration for my Fedrigoni brief. Above is a video of the piece in action (skip to 46 seconds).